Con of Thrones Add-On Experiences available now! 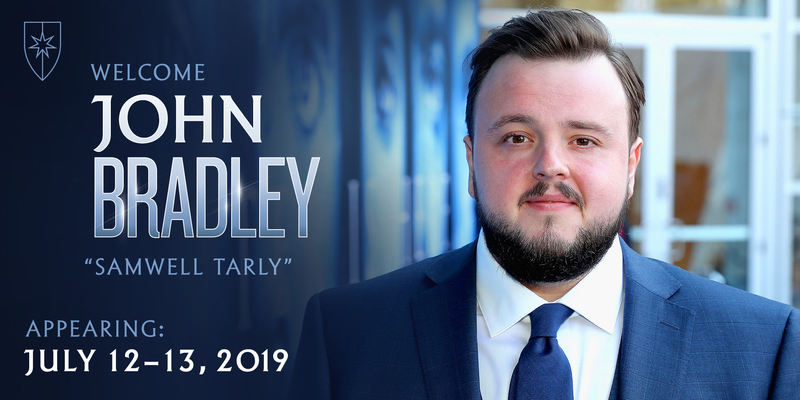 Con of Thrones Add-On Experiences are your chance to meet your favorite faces from Game of Thrones! Autograph and photograph experiences are available now. Please note: Tickets to add-on experiences do not grant attendance to the convention. You must have a ticket to the convention in order to redeem your autograph or photograph ticket. You can purchase Con of Thrones passes here. For each photograph purchased, you may have two ticketed attendees in the photo. If you would like to have more than two ticketed attendees in the photo, additional photograph ticket purchases will be required. For children, please refer to the Con of Thrones age restrictions. 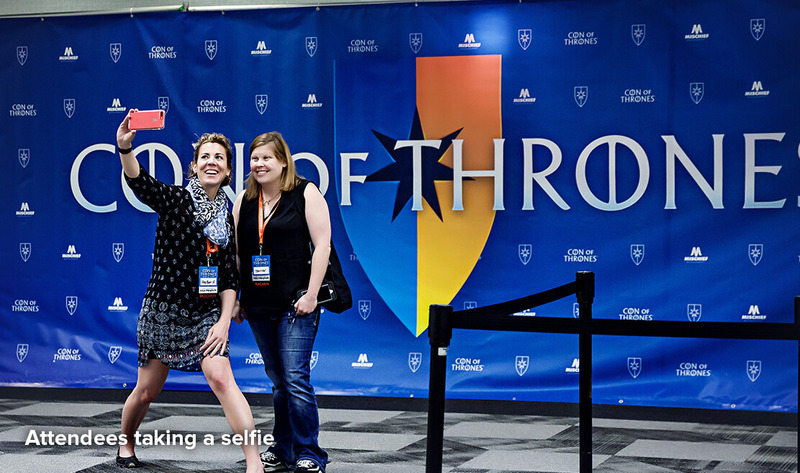 Our schedule of events will be posted at conofthrones.net/schedule when available (approximately six weeks ahead of the event). Please be sure to download our app and check the schedule regularly as all scheduling is subject to change. The autograph and photograph schedule is subject to guest availability. The queues for autograph and photograph sessions are created no more than 30 minutes prior to the start time of the session. Please review the schedule for information on the exact location of the queue for your session. Unofficial or attendee-created queues will not be considered when the official queues are created. Please arrive for your autograph or photograph session 15–20 minutes prior to the scheduled start time. Photographs will be available in the photograph area within two hours after the session. Simply come by to pick up your print. Most prints are available instantly. General Refunds: Autograph and photograph tickets are non-refundable. However, tickets may be transferred between sessions and between attendees. Guest Cancellations: In the event that a special guest is no longer able to attend for all or part of the convention, autograph and photograph tickets for the sessions canceled will be refunded immediately. Missed Sessions: If you miss your autograph or photograph time, refunds will not be granted. You may exchange your ticket for another session as long as space remains available. REMINDER: Con of Thrones has a zero tolerance policy for harassment of any kind. Please be courteous and respectful to special guests, staff in the area, and other attendees in line. Be sure to listen for any special instructions for the session you are participating in. Autograph and photograph sessions are not a meet-and-greet; they are short processes. 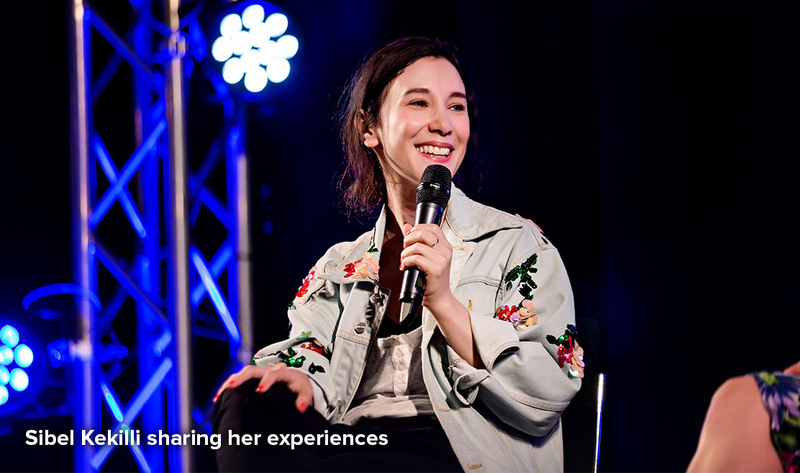 In order to make sure every attendee receives their autograph or photograph and to make sure that the experience is of the highest quality possible, we ask that you listen carefully for prompts given by the staff in the room and the photographers. Because queues will be moving quickly, please have all jackets, backpacks, purses, lanyards or any other items you do not want visible in the photo off and to the side. You will never be more than a few steps away from your items. AUTOGRAPHS: If getting a book signed, please have it open to the page you want to be signed. For all other items, please have them ready. Guests will be signing in black or silver ink; there are no other colors available. Please plan your item accordingly. PHOTOGRAPHS: There will be a flash during photos, so please be aware that glasses, certain clothing or cosplay items, and some makeups (like bare minerals) may be reflective and flash back. No autographing or personal photo/video recording is allowed in photograph sessions. No personal photo/video recording will be allowed in autograph sessions. Once you purchase, you will receive an order confirmation email from ShowClix on behalf of Con of Thrones. IMPORTANT: If you do not see your order confirmation in your inbox, make sure to check your junk/spam folder. If you still do not see your order confirmation, click here to access the ShowClix help center. If you are having any other technical ticketing-related issues with your order, click here to contact ShowClix. 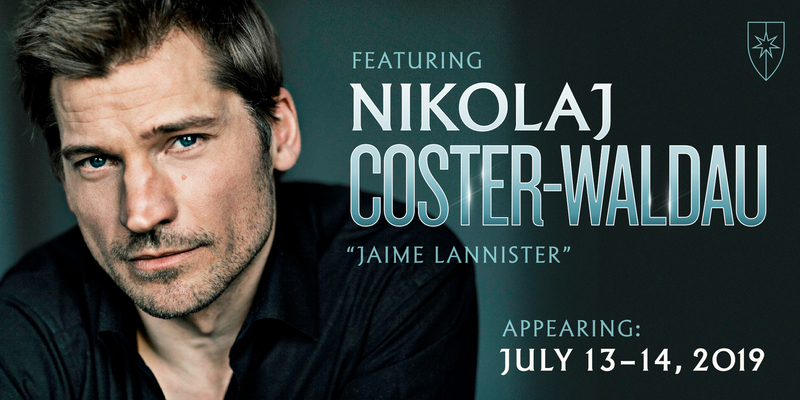 For general info, visit www.ConOfThrones.net. All sales are final. No refunds. Upgrades subject to availability. Artists and schedule subject to change.